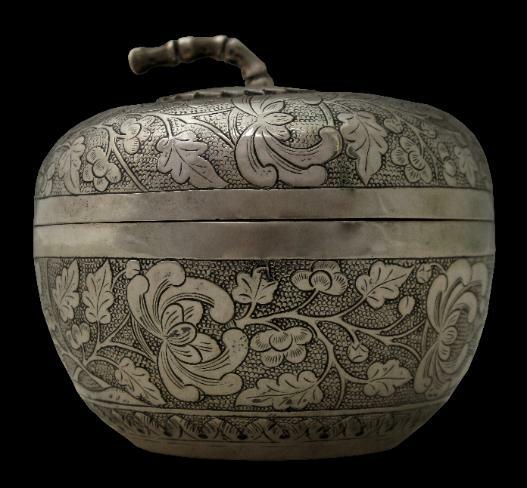 Silver boxes such as this example were used on top of a lady’s dresser. In Europe such boxes might have been used to store talcum powder. In Southeast Asia, among local Chinese communities, such a box might have stored fine rice powder, used for face whitening. It is in the form of a persimmon, with a stem and a pair of leaves worked into the top of the lid. The lid and base are finely chased with sprays of chrysanthemums against a ring mat background. The lid fits very tightly, ensuring that the container is air tight. 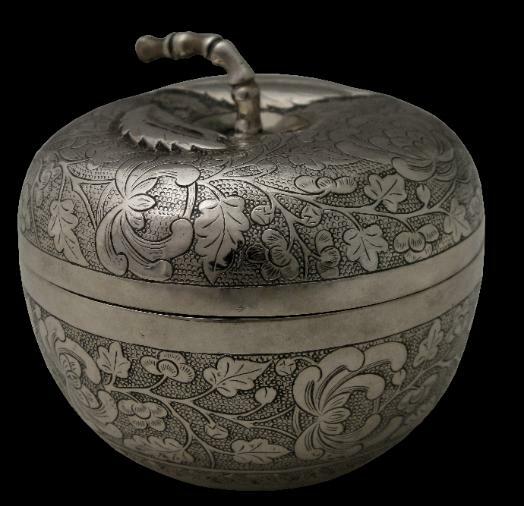 The silver used is quite thick, so that the item is surprisingly heavy and solid in the hand. The work is unmistakably export Chinese, although no maker’s marks or shop marks are present. 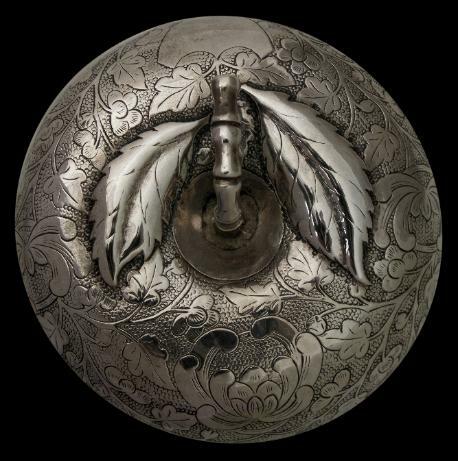 A box of this form but left plain without engraving is in the Alan James Marlowe Collection, illustrated in Marlowe, A.J., Chinese Export Silver, John Sparks, 1990, p. 85.